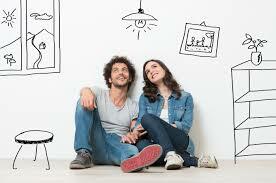 One lesser-known but very important (for some clients) service we perform is proof of co-habitation investigations. This is just what it sounds like: our client has a legal need to prove that the subject (usually an ex-spouse) is currently residing with a significant other. Typically, this evidence is needed in conjunction with a divorce or child custody/child support case. It might be that our client’s ex is believed to be living at the new partner’s home or vice-versa. Either way, solid proof is needed. — determining what official and quasi-official documentation shows one of them using the other’s address — driver’s license, car registration, voter’s registration, bank accounts, bank loans, credit cards, etc. — scan of various social media platforms — more and more, we are finding social media to be a goldmine of relevant information for our clients. We collect and analyze data from dozens of social media, open web, deep web and archived websites and compile it into an easily readable report. We recently hit a home run when we uncovered a photo on his Instagram page showing the happy couple in her living room unpacking his stuff on “Move-In Day”.